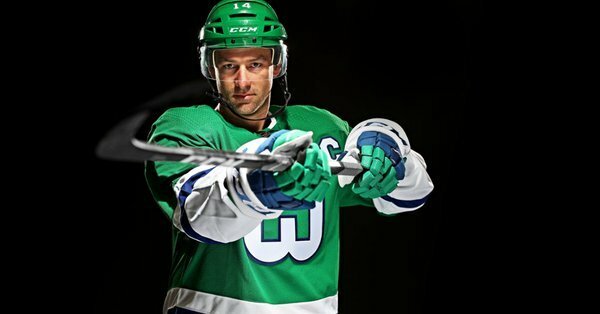 On December 23rd 2018, the Carolina Hurricanes will wear the Hartford Whalers jersey in tribute to their roots. As NHL94 fans, I'm sure many of you can get a kick out of this news. Kinda weird seeing Justin Williams in the green but also cool that the league is embracing the throw back. Hope we see more of it! So you're telling me the Bruins will travel to face the Whalers on the day my kid is due to be born? I don't believe in coincidences, so I am gonna go ahead and embrace the s**t outta this! Congrats to you and your wife!!! "And we shall name him.. Third Jersey Smith"
Zarley, Francis, Patty, Geoff, Brendan, Gordie, Chris, Paul, or Kevin. It has been announced that the Hurricanes, besides wearing the Whalers throw backs, on the 23rd, will also use "Brass Bonanza" as their goal song for the game. Feeling '94 all over again! Perhaps they can add him to Mutant League Hockey. On a related note, I came across a nice article on the Brass Bonanza. 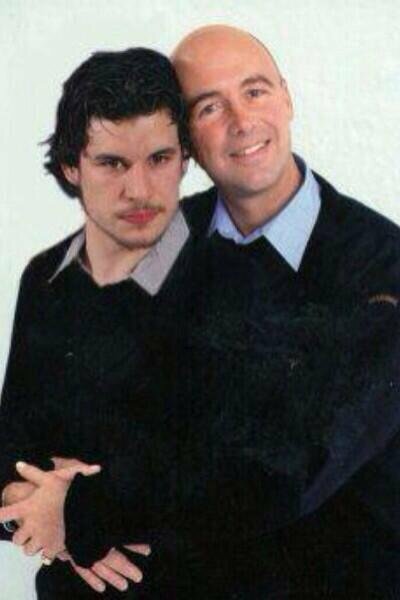 Did you Know Pierre McGuire saved the song? That means he's basically the reason it's in NHL 94, so quit hating on him!